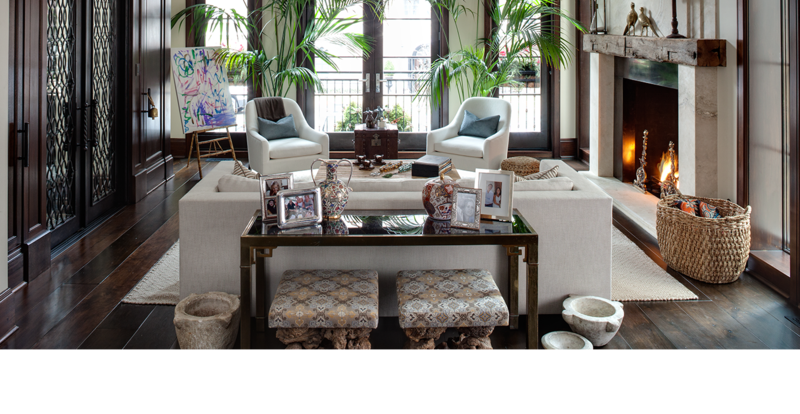 The Chicago-based designers Melissa Lewis and Cari Giannoulias of Lewis Giannoulias Interiors believe in â€œlivable luxuryâ€, balancing bespoke furnishings with bohemian touches for a look that’s low-key and glamorous all at once. A love of design (art, architecture, interiors)â€¦ and a desire to change up our own spaces far too frequently. We find that if we aren’t traveling, then Instagram is an incredible way to be exposed to other like-minded imagery. We also like to keep it old-school and thumb through design and fashion magazines â€“ we tear out our favorites and throw them up on our office inspiration board. Our creative process is largely fluid and client based. We are fortunate enough to work on a variety of different spaces which garner their own unique aspects, but all are kick-started with a large cup of coffee and a tornado of fabrics and imagery. A good handyman and a dimmer. We love Axel Vervoordt for his mastery of simple and warm. Kathleen Clements makes mixing old and new seem effortless. A musician, because the creative journey may not be literal, but the process to curate a perfect home and a perfect song are somewhat synonymous. The varied bits and bobs from which to choose. There is a fantastic representation of both traditional and modern throughout the site that is unique and well-curated. Shop their favorite Viyet picks!